TAKE THE MPC PLATINUM STANDARD EVERYWHERE YOU GO. The MPC500 is the first truly portable all-in-one Music Production Center, affording artists the ability to sample and create music on-the-go. Whether you travel around the globe for hit-making sessions or across town to link up for a casual beatmaking hang, the MPC500 is the ultimate answer to your mobile production needs. Fully compatible with the legendary MPC line, you can work anywhere with the MPC500's battery-powered capability and drop them back into your MPC2500 when you get back to the studio. The MPC500 combines a 48-Track MIDI Sequencer and a 32-voice Stereo Digital Sampler, with 12 velocity and pressure sensitive rubber pads. 16MB of on-board memory comes standard and can be expanded up to 128 MB of RAM. When connected to a Mac or PC via its built-in USB port, you can simply drag & drop data between the computer and the MPC500's CF card. Compatible with other MPC products, the MPC500 extends users' studios to fit in with their mobile lifestyles. Considering purchasing the Akai MPC500 Sampler? Have questions? Ask people who've recently bought one. Do you own the Akai MPC500 Sampler? Why not write a review based on your experience with it. 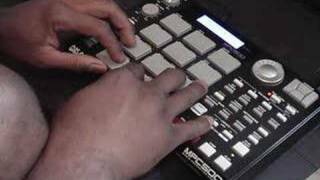 Seen a video for Akai MPC500 Sampler online or have you own video? 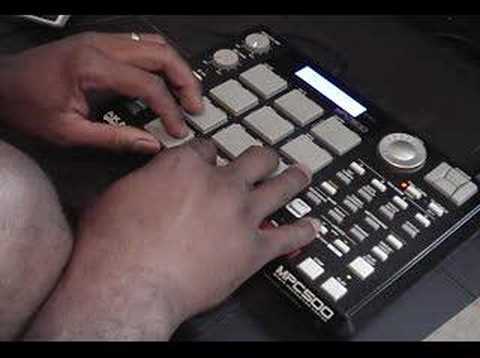 Check out Akai MPC500 Sampler on DJkit.com!